True love knows no bounds, and our love for fashion is no exception! This delicate three-tier design measures 16 ½” and includes a 3” extender. Our rose gold-plated and 14k gold-plated design features a double weaver’s knot, a Love charm, and a pavé crystal bar. 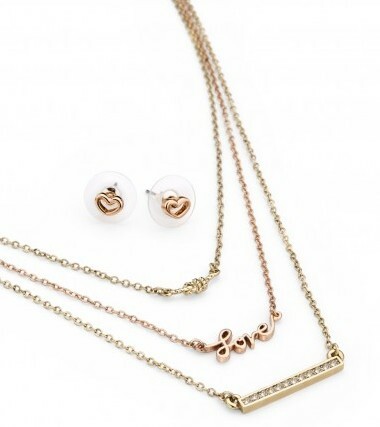 Pair this piece with matching rose gold heart studs for a finishing touch. I'm a little late in posting this but for my August JewelMint purchase I bought the "Here to Eternity" set. 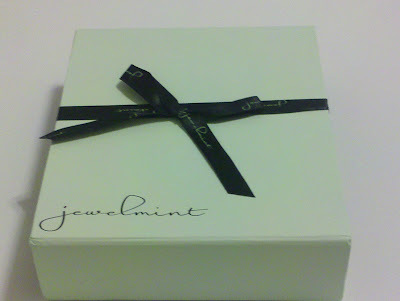 If you want to know more about JewelMint you can check it out here. Or click on this referral link to sign up right now. Now on to the good stuff! 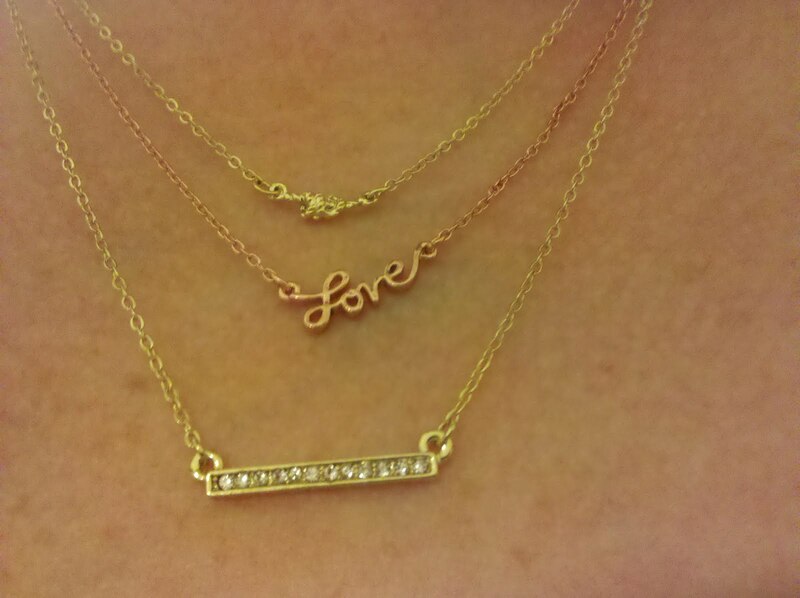 I love how this necklace gives the illusion of three different necklaces but it is only the one. This type of necklace will dress up any outfit or it can be worn with jeans for a more casual look. The one thing that I love most about this set is the combination of the gold and the rose gold colors. It is this combo that allows the wearer to pair other coordinating pieces of jewelry in either of the golds which makes this set a very versatile and worthwhile purchase.